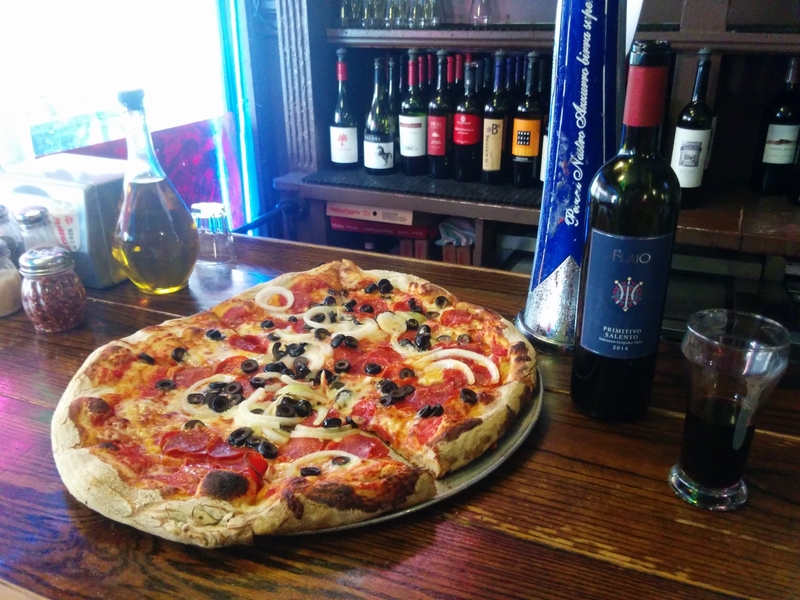 Going out to grab a pizza is hardly an event, but it is at Regina Pizzeria. 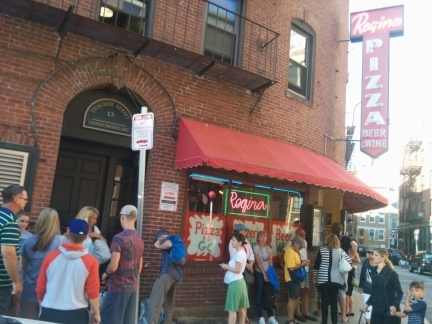 Founded in 1926, Regina Pizzeria is the oldest pizza house in New England and extremely popular with tourists and locals alike. 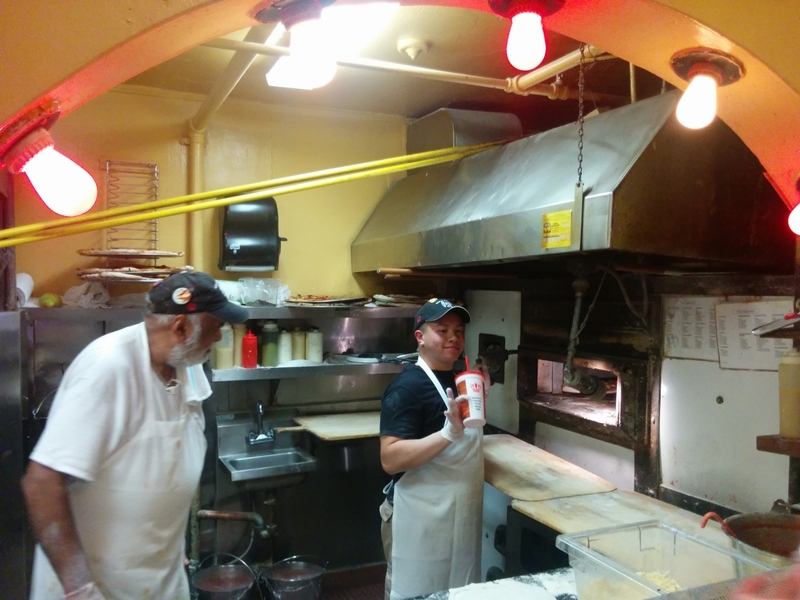 After doing a couple of boat projects, we walked from Charlestown Marina to Regina Pizzeria in Boston’s historic North End and had an exceptional evening talking to the staff and patrons around us over a delicious pizza. The set of Prostock Marine inflatable fenders we bought while we were in Australia has worked out very well compared to the Aere they replaced. 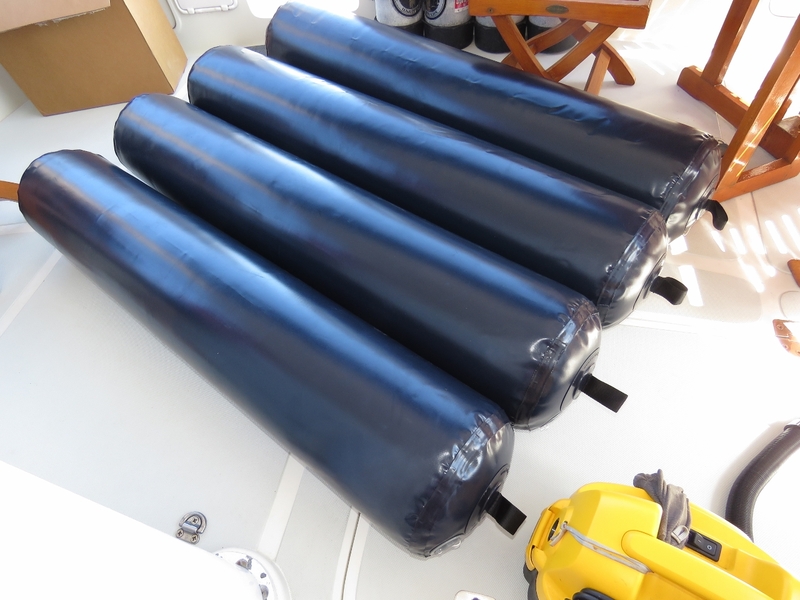 The Prostock fenders have taken serious abuse in the swells in Rodrigues, Reunion, St. Helena and Barbados without a hint of a seam leak anywhere. At the time, Prostock didn’t have anything to replace what we call Aere “sausages” fenders: 72-inch long by 12-inch diameter fenders that work well in narrow slips or against pilings. We could really have used longer, narrower fenders in the tight piling-lined slip at Soverel Harbour Marina in Palm Beach and learned that Prostock now produces them. Our 4 new Prostock “sausages” (60-inch long by 12-inch diameter) just arrived and look great. Boston-native Ronald Hellmann recommended Regina Pizzeria, about a half-hour walk from our marina. 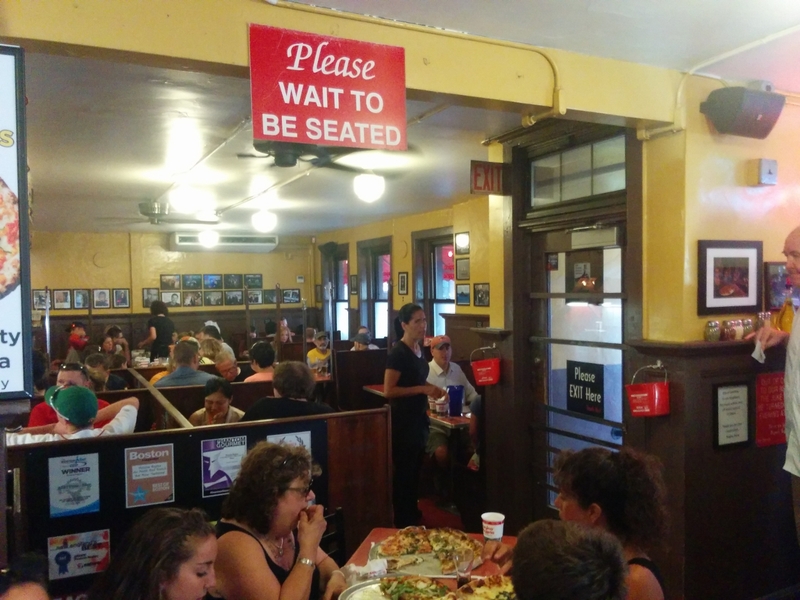 Founded in 1926, it’s the oldest pizza house in New England. We arrived silly early at 5:25 and still had to wait 20 minutes for a table. Now that’s popular. 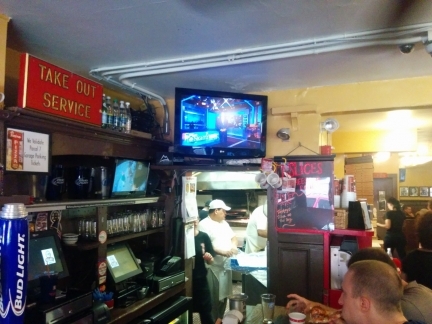 We got a great spot at the bar beside the window at Regina Pizzeria and had an exceptional evening talking to the staff and patrons around us. The original pizza oven from 1926 at Regina Pizzeria. Every seat in the small restaurant was packed the entire time we were there, with a constant line-up outside. The pizza was fantastic paired with a delicious bottle of Primitivo Salento. We like big reds and the Primitivo grape is genetically the same as the California Zinfandel. 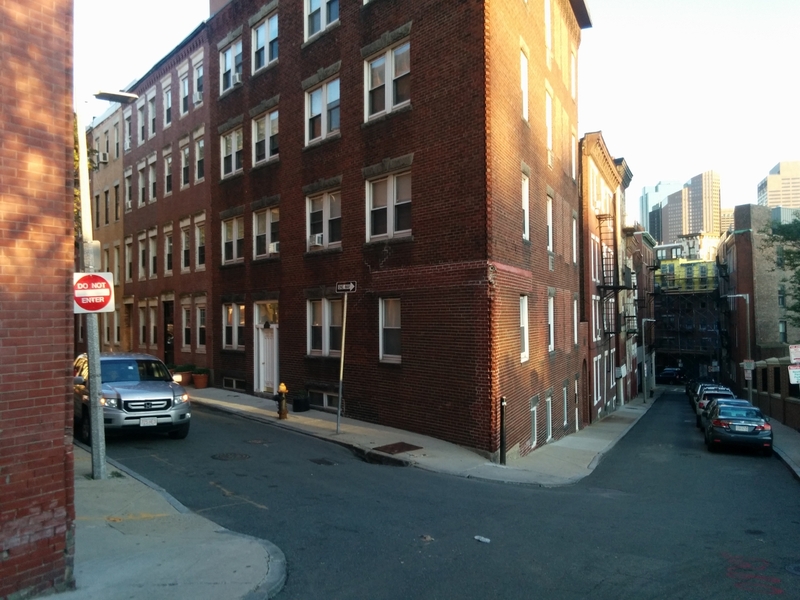 The streets around North Boston are really narrow. 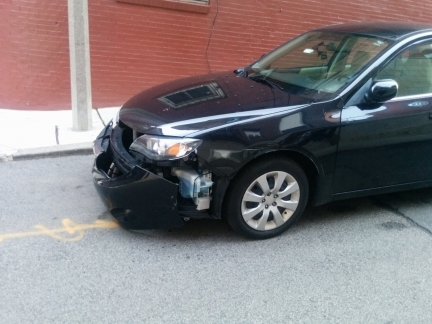 This car had parked slightly off the curb and had been hit twice over the weekend. One hit tore off the entire bumper. Parking seems pretty damage-prone in Boston–many cars have Bumper Bullys to protect them from scratches and dents. The damaged car was at the bottom of Prince Street at the right of the photo. Those streets sure are narrow. Height-challenged Jennifer rarely sees a door she’d have to duck to get through. 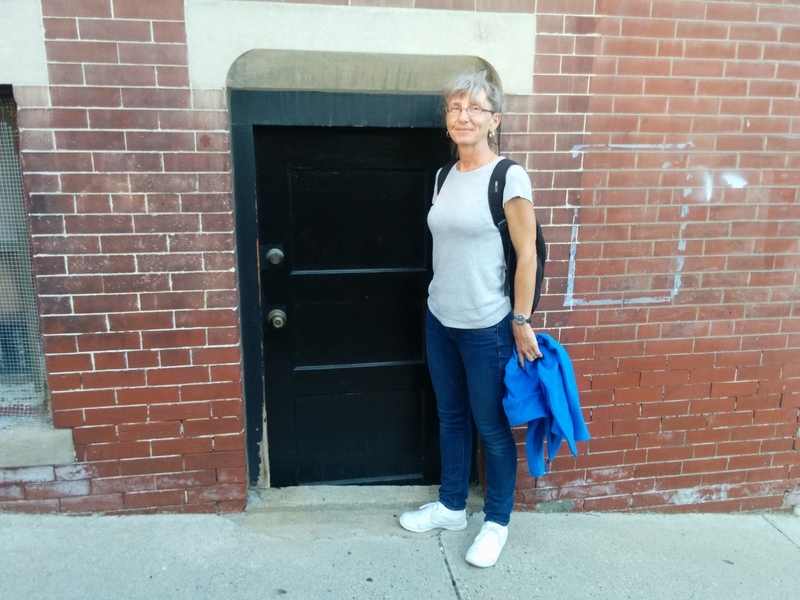 We saw many like this on the hilly North Boston streets. 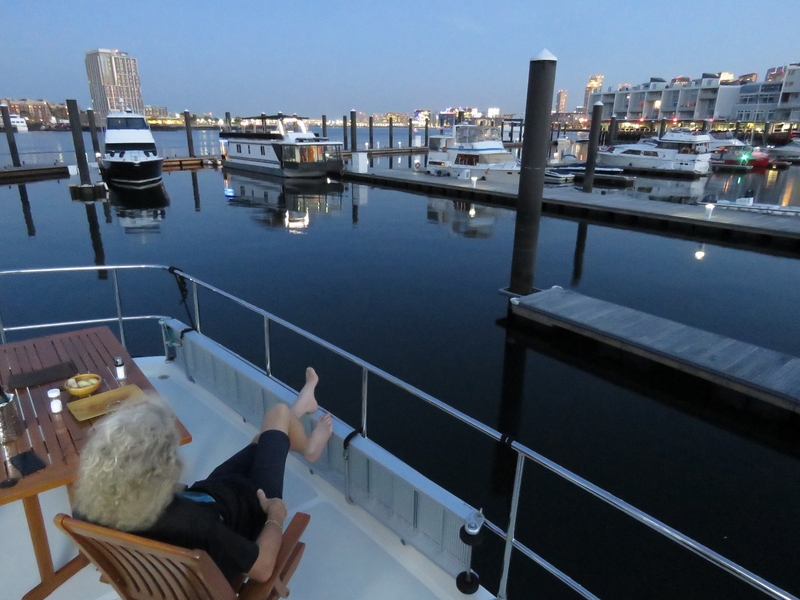 Enjoying the Boston skyline after a relaxing dinner on the boat deck. We’re really enjoying our stay at Charlestown Marina. Hi! been following your travel for quite a while now and I must say I like it very much. 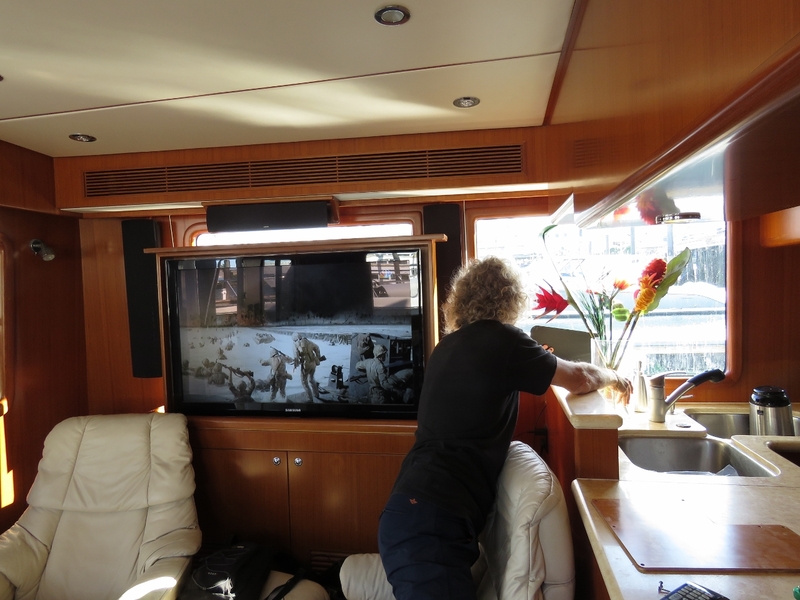 Leif, yesterday morning as I started fueling the dock attendant asked me how many gallons per minute we can accept and even I had to do the conversion from metric since all of our recent experience on fueling rates has been in liters. Good suggestion to add metric measures to the temperatures — we’ll make the change to show both.